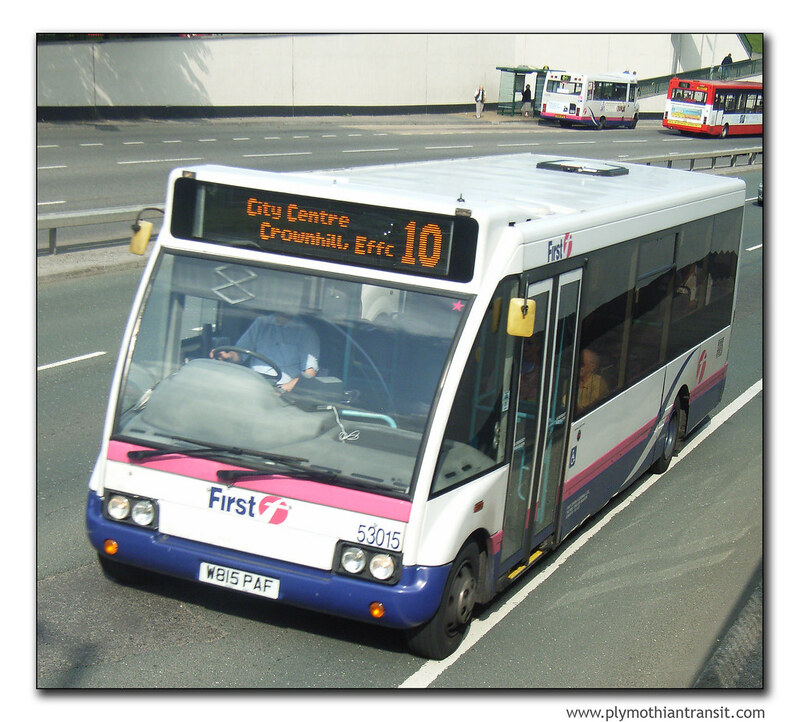 Following the introduction of the National Concessionary fare scheme in April 2008 Plymouth City Council decided to change the way in which the operators were reimbursed. 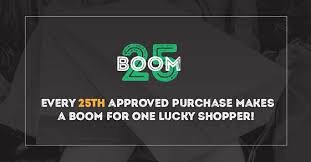 This led to a significant reduction in the amount that we get paid per customer. Overall, despite carrying more customers on some routes the revenue that we are receiving is less. 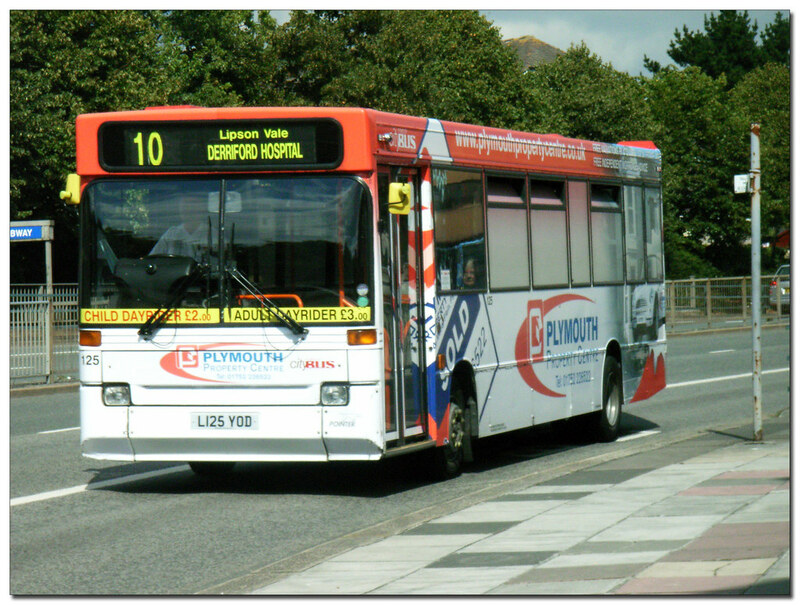 Services 10, 17, 18 and 48 are these routes. Unfortunately, due to the areas they cover they are never going to carry enough customers to be commercially viable, they are always going to be marginal at best and require some revenue support from the City Council on the basis that they perform a social need. As a result of the reduction in revenue, coupled with increases in costs such as fuel, where the wholesale cost to First has increased by around 50% we could not continue to operate these services at a loss. We therefore entered discussions with the City Council over whether they will be able to offer more revenue support to these services in order for us to keep operating them. Unfortunately they were not able to supply any additional funding even from the concessionary fares pot which has been a contributing factor to this problem. 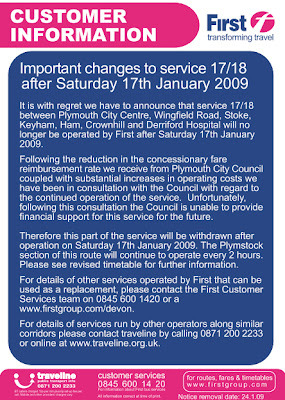 As a result Service 10 will be operated by another bus company after 17th January with a revised timetable, full details can be obtained by from the City Council, and Service 17 between the City, Wingfield Road, Stoke, Keyham, Ham, Crownhill and Derriford Hospital will be withdrawn without a replacement being offered. The Council are obviously fully aware of this situation. We did offer a number of scenarios that would have maintained the socially necessary service but that would require additional funding and unfortunately the funding could not be found. The losses that we were making on these routes were substantial and we could not longer absorb these. It remains to be seen what Target Travel use when they take over. Their passengers will be hoping for the pink Solos - anything other than those Marshall things! I had heard rumours of this but the last driver I spoke to wasnt sure so I didnt post it! With fuel prices back to their 2008 levels this announcement is typical of First's blatant misleading propaganda. The blackmail of a Council is a regular First tactic used all over the country. Hand in a supposed loss making tender that they bid for and won in the beginning at a price they said they could afford to operate the contract at and then attempt to hold the Council to ransom for more money. Well done to PCC for not giving in to the demands. I would imagine that most of your readers are well aware that Target Travel is as good as a subsidiary company of First in any case. Remember Target already operate other tenders won by First which were then sub contracted to Target. The bigger picture is just another cost cutting drive as First D & C are still a loss making company. Unfortunately as usual it is the passengers on the 17 and 18 who lose out. Transforming travel? they certainly do that.